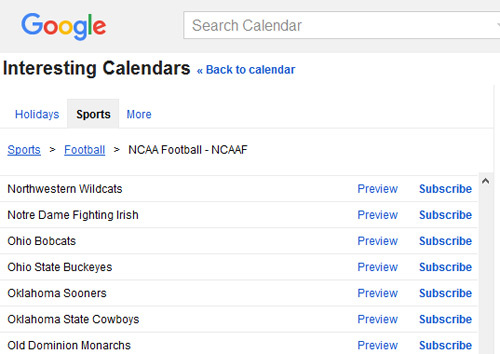 Ever want to plan your schedule around your favorite games so you can be there for them? 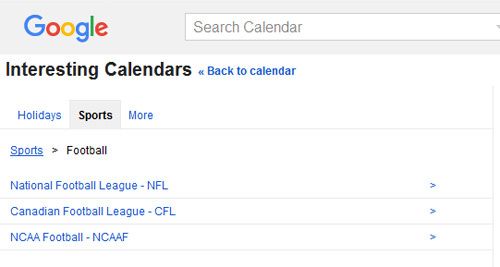 Here’s how you can add the schedule of your team to your calendar so you will always be able to watch them. First of all, log into your Google account online (this won’t work in mobile). 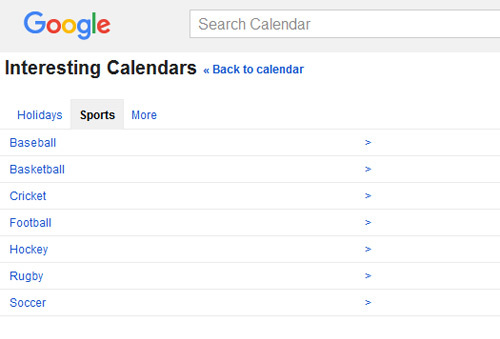 Once there you can click on Sports. We chose Football then NCAA Football next. We scrolled down to Ohio State Buckeyes. 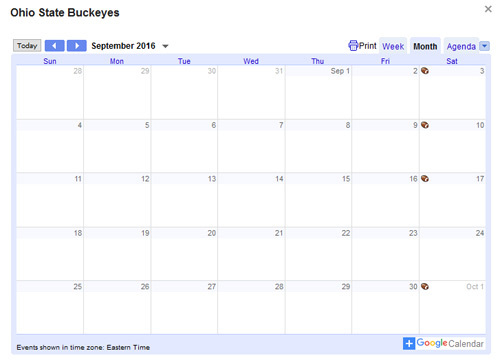 Then looked at a preview of the calendar showing that Buckeyes Football starts September 3rd.